a.w.Designs takes the anxiety out of marketing your company by working with you to develop what you need when you need it. We hand-craft your internal and external marketing strategies to target your clients, motivate your employees, and reach new audiences. How will clients remember you unless they are told, reminded, and then told again? a.w.Designs puts you in front of your clients on a daily basis. 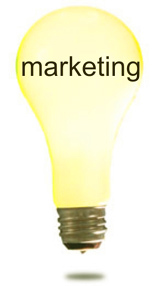 Ad campaigns, newsletters, websites - they are all avenues you can use to promote your company. Accomplish the most with help from a.w.Designs.